Founded in December 2011 by Husen Daudi and Jay Vora, SerpentCS has grown exponentially in terms of providing services, implementations and trainings on Odoo and relevant ERP solutions. 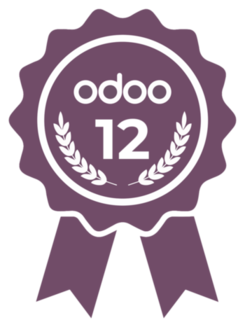 Working on Odoo since 2007., the company carries a large set of experience in the ERP domain with a team of 80+ enthusiasts. Serpent Consulting Services Pvt. Ltd. is what you want to see. For us, the word 'us' has a broad meaning. Its not only Serpent Consulting services staff, but also the community, customers and employees of the Open Source products we work on. We are the customer-oriented and well-driven organization. We believe in quality, accuracy and time. In the United States, two clients have been reached in 24 countries. We have worked with setting up, configuration, customization, integration, migration and user training of OpenERP. You can take a look at our Testimonial page to know what our customers think about us. Our vast experience helps our clients achieve their goals in various sectors and with the low cost of effective communication and satisfactory end results with the help of OpenSource Products. Feel free to browse through our website and be our guest! Hako World a known brand in Photo goods business for the last about 32 years. The company was incorporated in the year 1992 as Bhatia Photo Industries Pvt Ltd with corporate office at 40/78, Hospital Road, Parade, Kanpur-208001(UP). We shifted our base and all operations to Chandni Chowk,Delhi, in the year 1992. We are in Laptop accessories business also since the year 2008 with a spacious office and shop at Nehru place. GREEN FIELD CONTROL SYSTEM (I) PVT LTD was founded in 1997 at Gandhinagar, a capital city of the Gujarat, INDIA, with a main focus on providing an Automation Solution by Research, Development and Production Activity. RBSPL, a subsidiary of Altisource Asset Management Corporation (NYSE: AAMC), provides asset management and corporate governance to Altisource Residential Corporation (NYSE: RESI). Altisource Residential Corporation focuses on acquiring, owning and managing single family rental properties throughout the United States. It is a Real Estate Investment Trust (REIT) and acquires single-family residential properties primarily through the acquisition of stabilised rental properties. We are leading power solution providers and suppliers of complementary electrical products and services such as UPS, Batteries, AVRs, Transformers, Surge Arresters, and Solar Systems. Our vast experience and in-depth knowledge in the power industry has helped our company to understand the needs of the market and offer high performance products and systems.